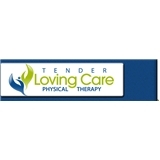 Tender Loving Care Physical Therapy (Bronx) - Book Appointment Online! Our programs are focused on reducing pain, enhancing function and performance, preventing further injury and promoting independence with activities of daily living (ADL) and/or work activities. While the needs of the individual patient and the goals of TENDER LOVING CARE PHYSICAL THERAPY, PC. may vary, they both share a common experience: unsurpassed care and support in the quest of better and improved health. Dr. Llaurado and his staff are excellent, great experience!